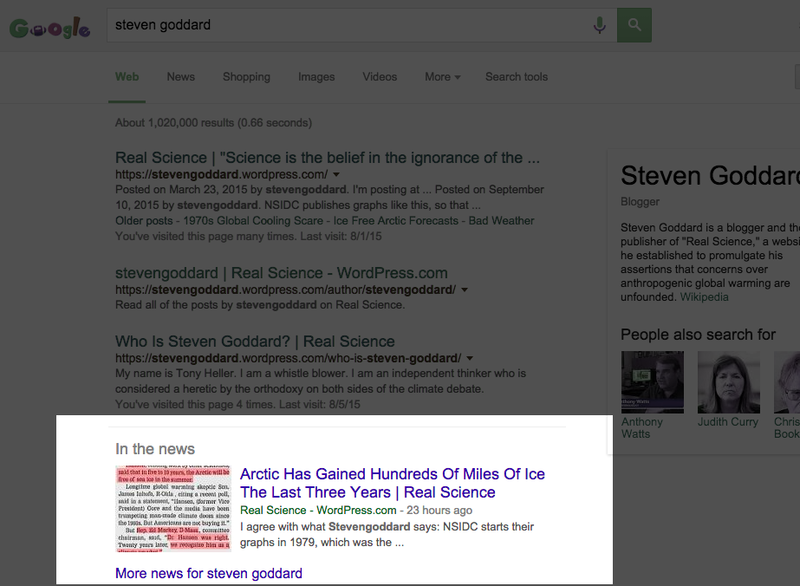 Update #1, Sept. 11, 2015: It doesn’t appear as if Google is actually calling my blog “news.” What happened is I cherry picked some data about Arctic sea ice and it spread across the right-wing blogs like wild fire. Google merely flagged my article as “In the news” because it was getting talked about, which it is. My name is Tony Heller (aka Steven Goddard). I’m a professional climate change denier and I use this blog to blow the whistle on myself. Google is now classifying my blog posts as “news.” You can fool our robot overlords most of the time.